It is truly amazing what we are achieving in the world of technology day in and day out. New ideas are being implemented every day in a number of fields. Mobile technology is also advancing at a staggering pace. Last year was the year of wearable technology and virtual reality. This year might just be the year of a singular game; Pokémon Go. For those of you who don’t know, Pokémon Go is a true breakthrough in mobile gaming. It is a game that relies on your real-world movement, and interaction with actual spaces in order to capture Pokémon. Just like the animated series behind the game, these Pokémon can be found almost anywhere; one could be sitting right beside you at this very moment. The game uses data from Google Maps and its own servers to show you your current location in the world. Once you start moving, so does your on-screen avatar. This way, the game leads you towards different locations around you in order to catch certain Pokémon that are nearby. After capturing the Pokémon, you can evolve them into better ones and battle with other players as well. You may already have realized the popularity of the game after reading how it works. It is currently the biggest global phenomenon as far as mobile technology goes. People all over are seen roaming around the streets with their phones, looking for Pokémon. While adults are also playing the game in great numbers, it is very popular among children. Due to the interactive nature of the game, many children are seen being completely clueless of their surroundings at times. Some are so obsessed with finding new Pokémon that they don’t even realize that they are heading towards heavy traffic. Others have been reported to get lost in strange locations as they walk looking at the phone’s screen towards where they perceive a Pokémon to be. Some cases of robberies have also sprung up, where people are using the game to lure children out to secluded spots and then mugging them. While the company behind the game is working on a solution to these problems, it is obvious that many parents are worried as to what they should do. Luckily, there is an app for that. mSpy is a mobile tracking app that can be installed on both Android and iOS. Other than having the basic functions that all spy apps provide, like call logging and SMS tracking, mSpy also allows parents to simply block their children’s access to an app. 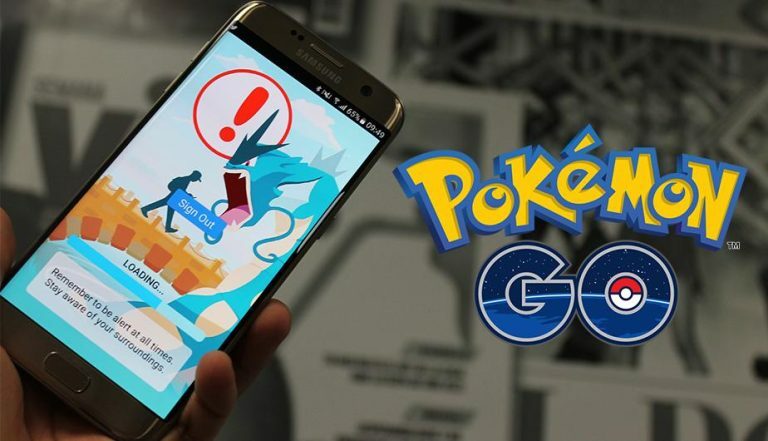 If your children are getting a little too addicted to Pokémon Go and you are worried that they might get themselves in trouble, then it may be wise to block it on their phones until the developers find a solution to this issue. Pokémon Go is a really good concept, but it’s not without serious security flaws. Rather than seeing your kids get lost or hurt, it is better to do whatever you can to keep them safe, and mSpy is the best app at the moment to do that.